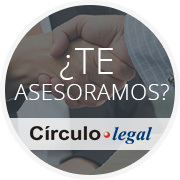 At Círculo Legal we have highly qualified professionals in the field of Inheritance Law and successions. Our clients are attended and advised in a personal manner, always prioritising respect and care for the wishes of the testator as well as carrying out all the procedures of tax and legal character required for the mortis causa of the estate of the deceased. We work in the processing of both testate and intestate inheritances. Drafting testaments, succession agreements, prenuptials, partition of succession statements, in addition to claims of legal declaration of heirs, division of wealth and inheritance and testament disputes. We are experts in advising our clients on the current or future organisation of their estate, and especially in advice for the best adapted testament with regard to the propietary and personal situation. Advice in the drafting of testaments. Processing of successions in which there is no testament. Claims of legitimacy and bequests. Declaration of heirs ab intestato.